Recently, I decided that it was time to up my exercise routines with more aerobic activities. It seems that every time I would visit my doctor, he would remind me that I need to be exercising more. “Go for long walks in the country – 3 times a week for an hour”, he’d say. Sure, like I have time for that with two small kids and a full time job! Since it was not something I was excited about, I thought that if I had a machine at home that I liked to use it would be easier to find the time, and there would be less room for excuses. One thing that I love to do when I am on holiday with my family and friends is ride bikes. What I decided was that a recumbent bike would be a great choice for me and my lifestyle. One reason that I thought that I would prefer this type of bike better than other exercise bikes is that it is easier to use. But don’t let that fool you; you are still getting a great workout, just like you would with an upright exercise bike. Looking at numerous models both in sports stores and online was exhausting. There are a lot of different brands and styles to choose from, but once I saw this one, I decided that the Schwinn 230 Recumbent Exercise Bike would definitely be added to my short list. Let me tell you about this bike..
What makes a Recumbent Bike Different? 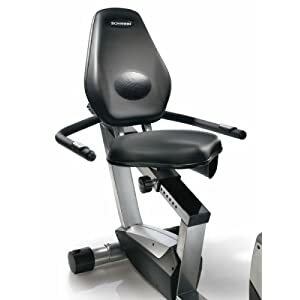 The difference between an upright exercise bike and a recumbent exercise bike is simply how one sits on the bike. There is no back support on an upright bike, so some riders may feel some discomfort because they have to lean forward while using it. I love using a recumbent bike because I can still get a great work out and do not have to worry about a sore back afterwards. Another bonus is that, while you can use the handlebars, you have the option of reading a book while on this kind of bike. Being able to get a good workout in, without being in pain afterwards is something so many people strive for. If more people could find a kind of exercise that made them feel great afterwards, there would surely be more people taking the time to work out. What this means is that you need to find a bike that is comfortable for you. The Schwinn 230 Recumbent Exercise bike is great because it will fit almost anyone no matter what your size. Besides comfort you want to make sure your bike comes with a few different features. Different levels of resistance. This is important because it allows you to increase your workout over time. It also means that many different people in your home can use the machine and set the resistance to a level that works for them. The Schwinn 230 Recumbent Exercise Bike comes with 16 different levels of resistance. Preset programs like the ones on the Schwinn 230 Recumbent Exercise Bike are the key to keeping your exercise interesting. One day you may prefer to do intervals, while the next you want to change your settings to manual. And if others are using the bike as well, having different options for programs means, they can do interval training even if you prefer to use the manual setting for each workout. Adjustable seats and screen. An easy to read monitor is important so that you can see the screen no matter how the bike is positioned. 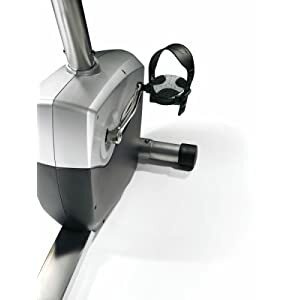 A bike that comes with an adjustable seat should always have a screen that can be moved so anyone who is using it feels comfortable not only in the seat, but using the rest of the features as well. Other features to look for include a holder for a water bottle. And if you are not able to watch television or some other activity, you would surely appreciate having a place on the machine to hold your book. The Schwinn 230 Recumbent Exercise Bike offers both of these great features. The warranty is something that convinced me to choose this bike over others. The manufacturer provides a 10 year warranty on the frame as well as a 1 year warranty on electrical and mechanical. And if you are like me and most other people, you will probably want a bike that stores easily. The Schwinn 230 Recumbent Exercise Bike comes with transport wheels so that you will be able to move it rather easily to and from your preferred exercise area. How much does the Schwinn 230 Recumbent Exercise Bike cost? The Schwinn 230 Recumbent Exercise Bike is a great value compared to other recumbent bikes. It offers the perfect solution to exercising at home, but without the cost. While the bikes that are similar to the Schwinn 230 Recumbent Exercise Bike cost well over $1000, the retail price of this bike is just under $600. But you can get an even better deal on this bike by purchasing it from Amazon.com. It is currently holding steady at the low price of $449. That is a great deal for such a nice machine! And, it’s eligible for their free shipping deal as well which means saving even more in comparison to other sites selling it. Though I checked out reviews on this bike from dozens of sites and forums, it was on Amazon that I found the most reviews in one place, not to mention the most detailed. With a rating of 4.5 out of 5 stars, you can be sure that others are lovin’ this bike! Most of the almost 300 reviews on this bike were favourable which is a great incentive if you’re toying with the idea of buying one. The few negative reviews that I did come across weren’t really about the bike but rather issues with the courier that shipped it! And again, that was just one or two that I came across. A couple of people had difficulty putting it together, but then again, some people are just a little handier than others. Overall it got some awesome reviews. If you want to read more reviews on this bike, including the few bad ones, then I recommend you check out Amazon.com for loads of them. Where Can You Buy the Schwinn 230 Recumbent Exercise Bike? 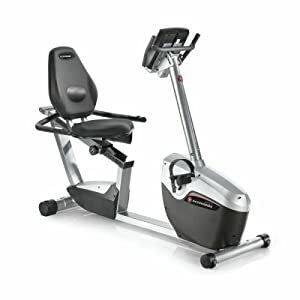 You can purchase the Schwinn 230 Recumbent Exercise Bike online at Amazon.com. Click here to view on Amazon. 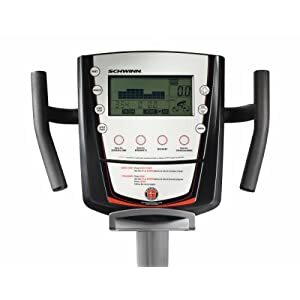 Where Can You Read More Reviews for the Schwinn 230 Recumbent Exercise Bike? The best place for reviews as far as I have seen is Amazon. They’ve got a ton of them posted and they’re all pretty detailed.